Top with Double Frying Chamber. Temperature Controller (Temp - 50° to 300°). 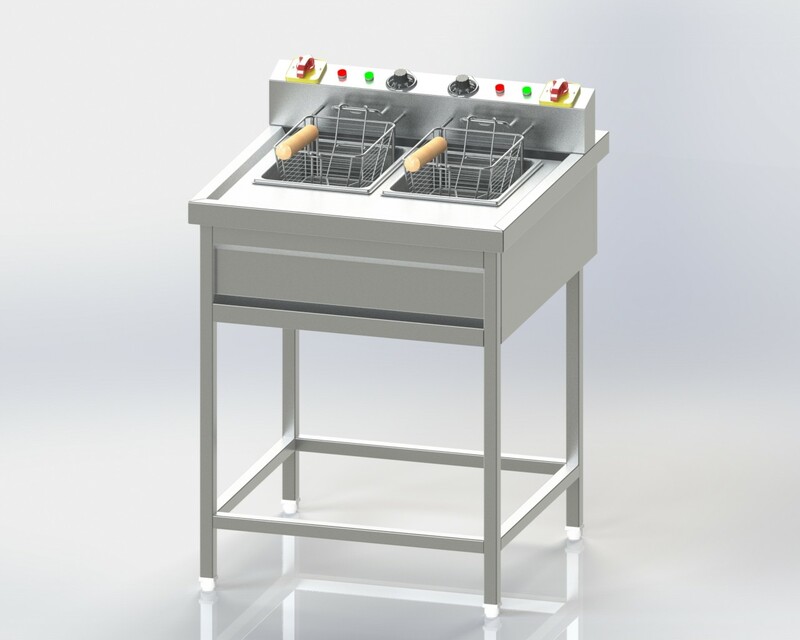 SS Wire form frying basket with hanger. Underframe Construction made in AISI 304 Pipe and AISI 304 Angle. Heavy duty Top made form AISI 304 16-gauge. Side Covering and U/S are made from AISI304 1mm. Front is made of AISI 304 16- gauge. DDFE-1 700 X 850 X 850 24 + 24 Ltrs. DDFE-2 700 X 750 X 850 11 +11 Ltrs.